Accord School is a co-educational day boarding school which offers the play way method of learning for Preschool and the Central Board of Secondary Education (CBSE Affiliation number: 130371) syllabus for higher classes. The school currently offers classes from Kindergarten to grade 11 with Hindi, Sanskrit as second and third language options. The school has state of the art world class technology enabled infrastructure and well trained and qualified staff to provide the right learning environment to support the curriculum delivery. Accord School intends to implement the tried and tested hands-on, child centered and activity centered approach of teaching with individual attention to each child. The emphasis is on providing a child friendly environment to make education more enjoyable and meaningful. Accord School has the ambiance and the expertise to provide children with a truly holistic education and a stress free learning environment. Our campus provides a perfect blend of modern amenities and natural surroundings that are ideal for learning and exploration. Dedicated and talented teachers will make learning loads of fun. They will challenge, inspire and nurture through a carefully planned curriculum and customized extra-curricular activities that will ensure a child’s all round development. 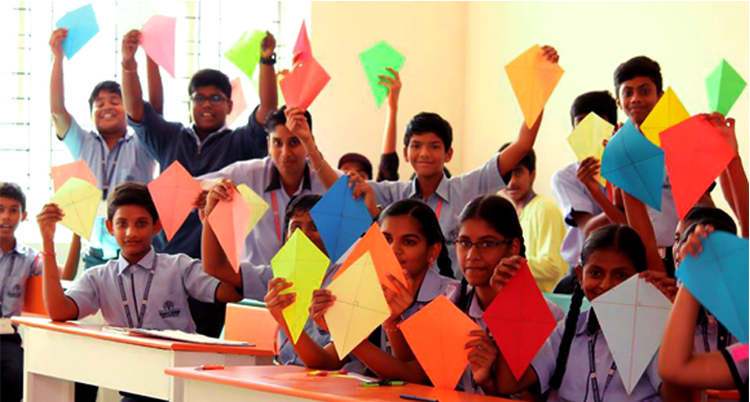 Individual attention in each class is ensured with a 15:1 student-teacher ratio.